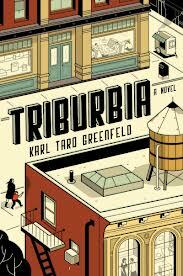 Triburbia by Karl Taro Greenfeld is a fictional slice-of-life work from a guy who I’ve previously found to have written great non-fiction for various magazines. I had high hopes for the book based on Greenfeld and found myself captivated by his descriptions of many characters in the book and was looking forward while reading to seeing how everyone would come together. The web of relationships between everyone was interesting to see develop, but issue I had is things never really seemed to come together in any conclusion. Basically, it struck me as really good character based fiction, but lacking in an additional compelling plot. That said, there were great characters in the book and I agree with Jay McInerney who in his New York Times review of Triburbia wrote of Greenfeld's excellent description of Cooper, the 4th grade despot.